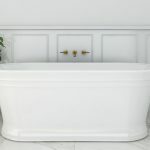 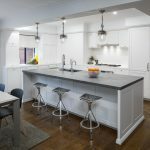 Providing a complete overhaul, Retreat Design supplied the kitchen, bathroom, laundry and powder room cabinetry & fixtures for the renovation. 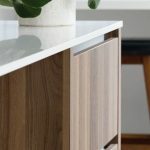 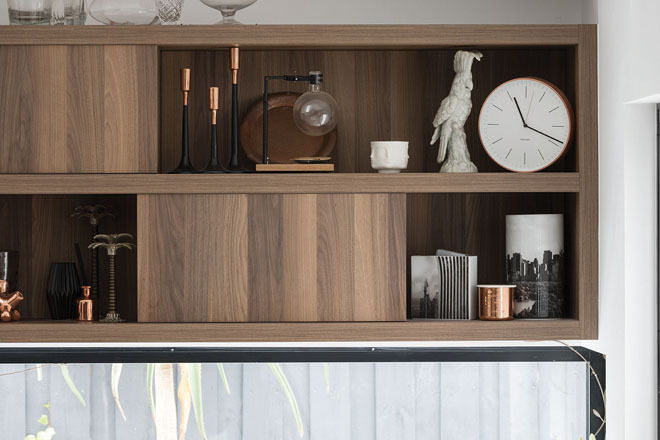 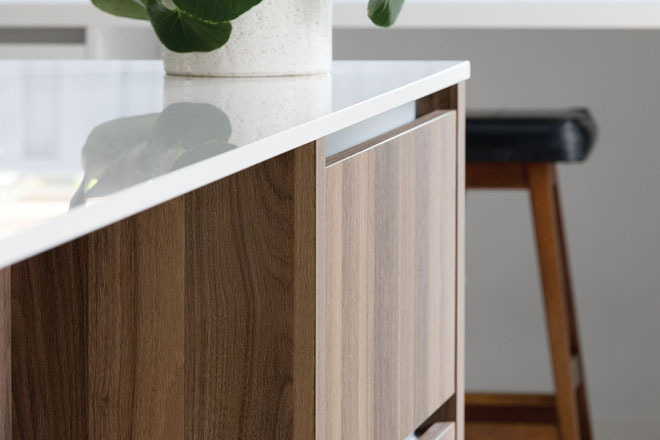 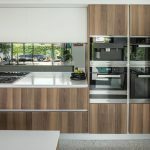 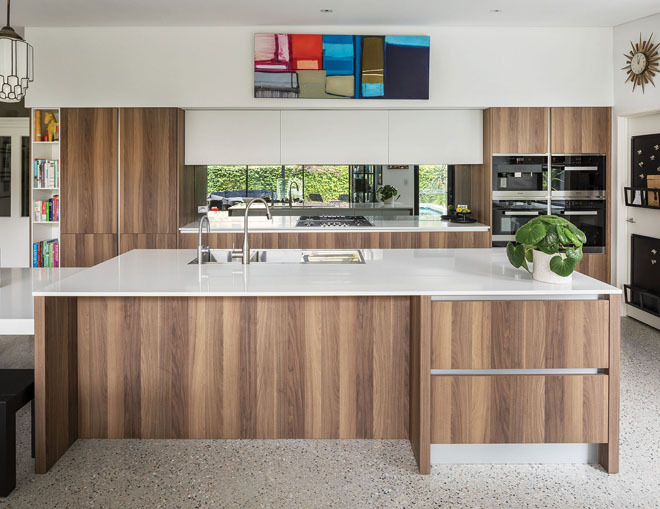 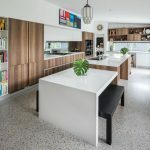 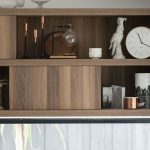 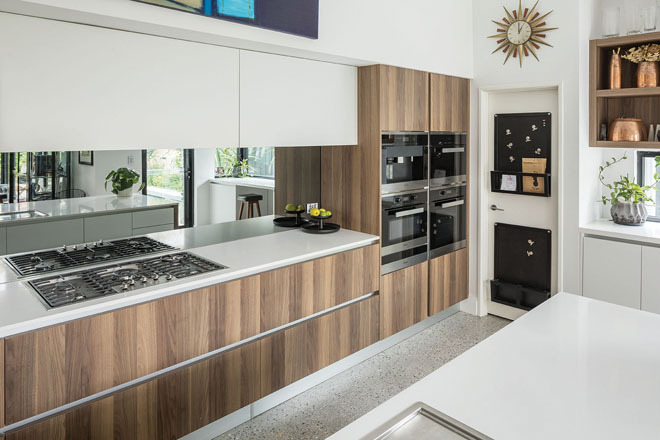 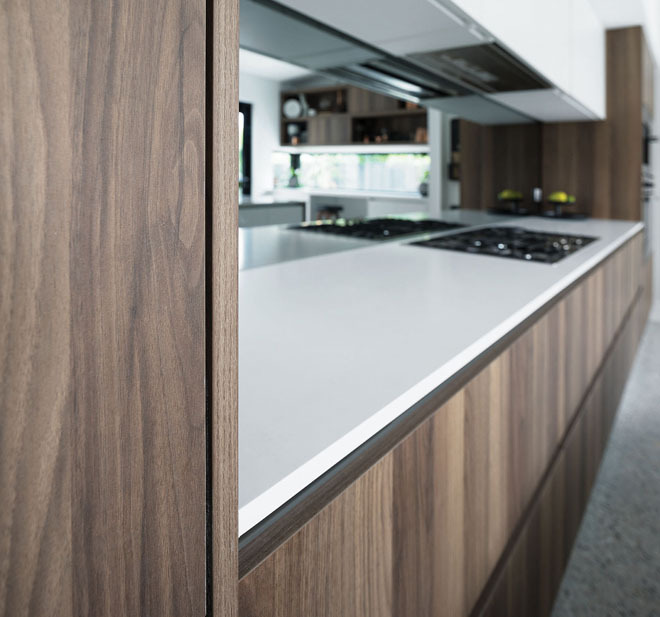 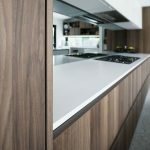 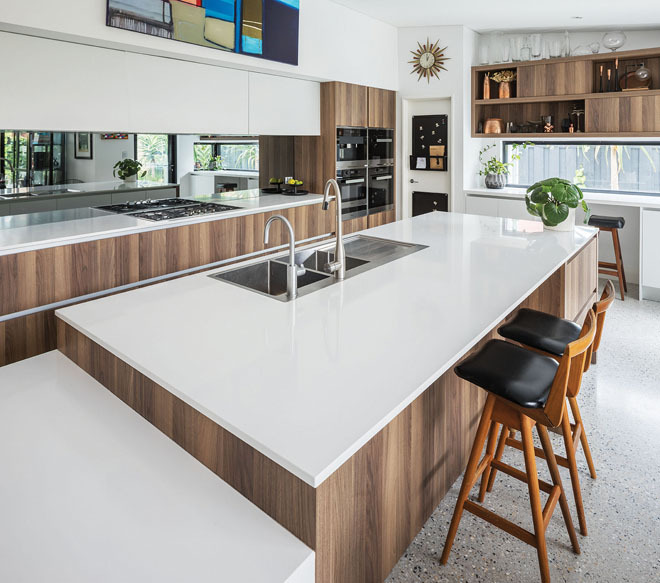 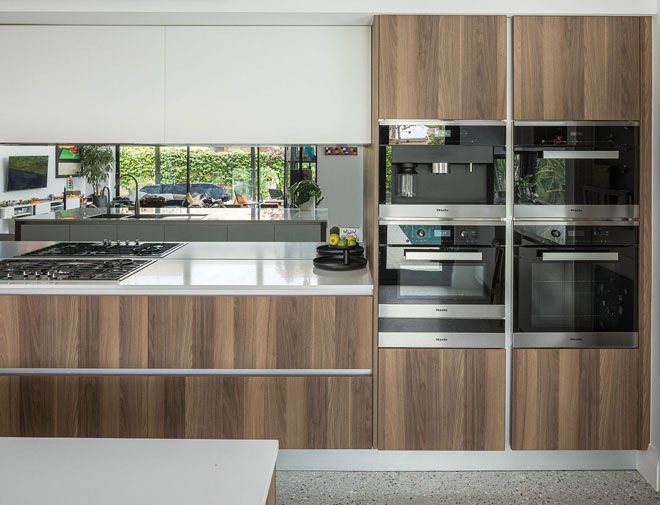 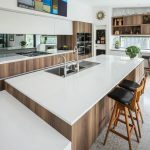 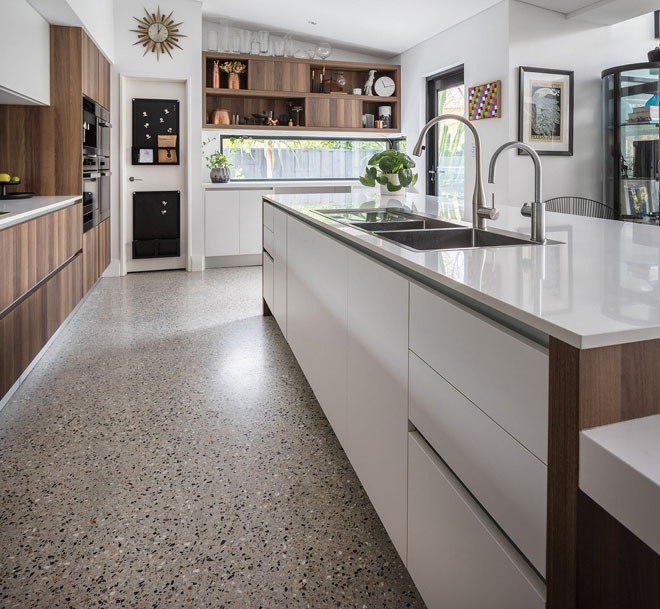 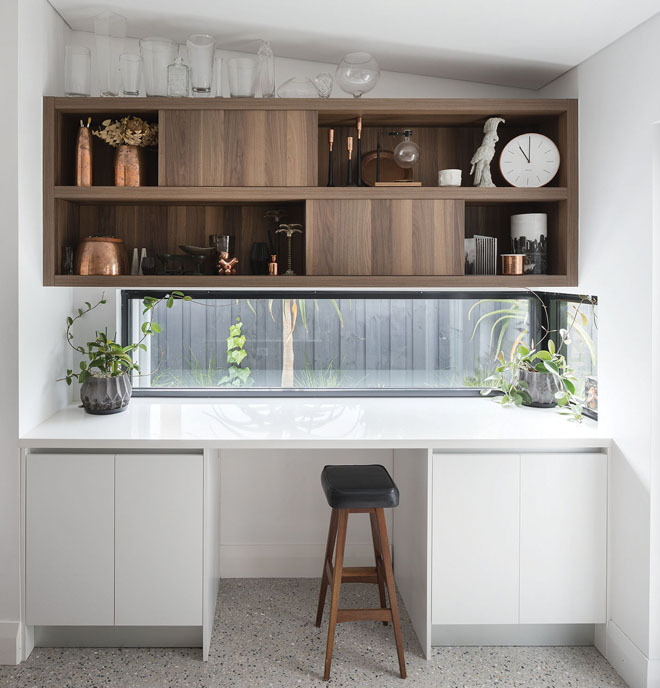 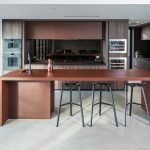 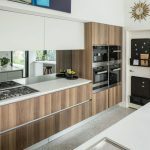 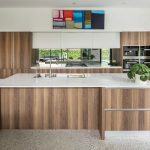 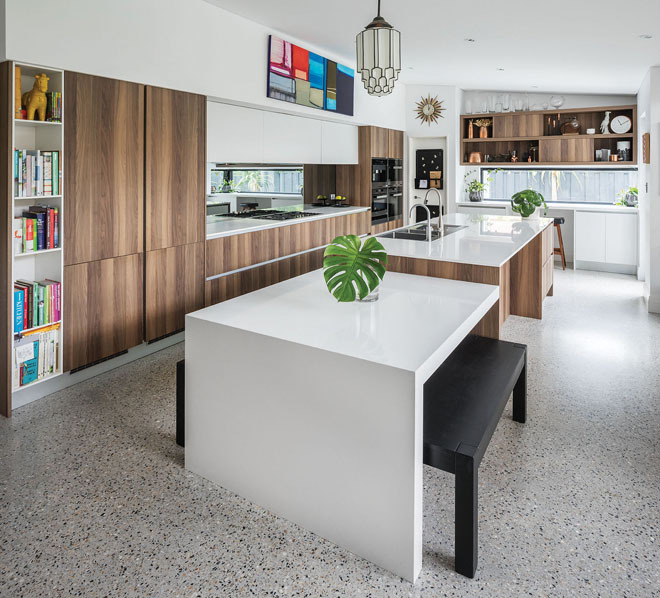 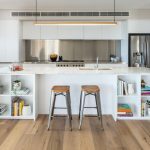 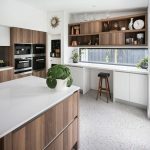 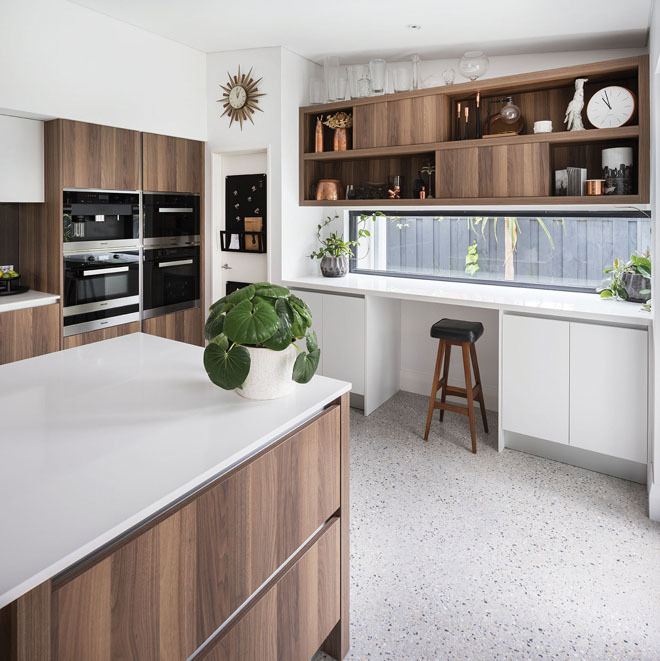 Walnut cabinetry creates a warm feeling in the space, while a silver mirrored splashback against the rear wall helps to create a spacious feel to the room. 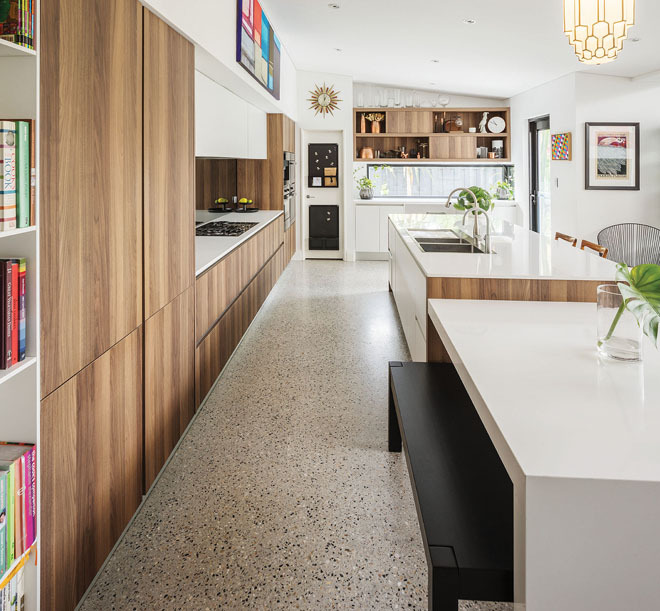 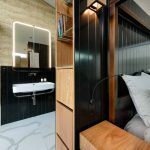 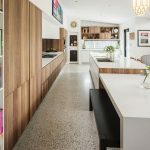 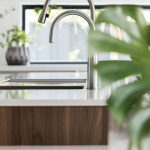 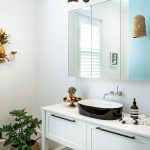 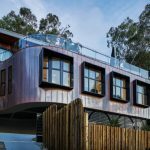 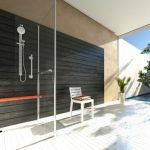 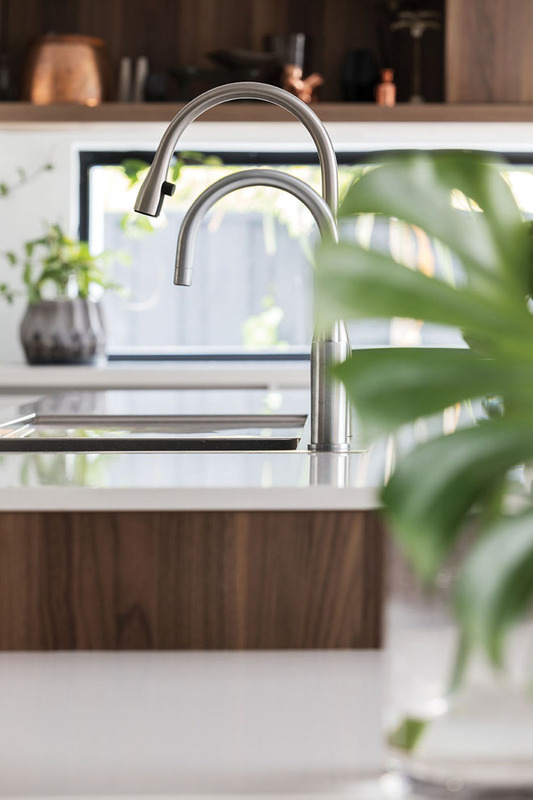 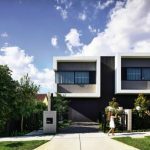 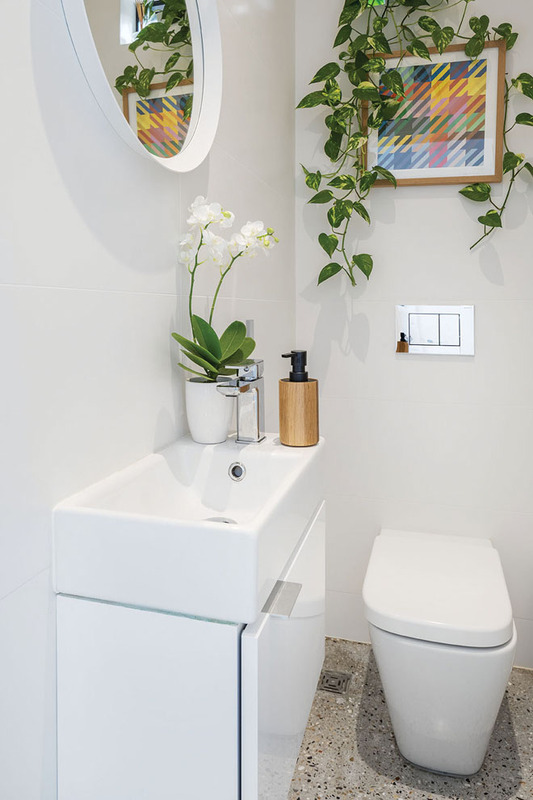 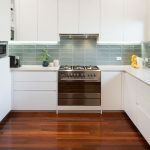 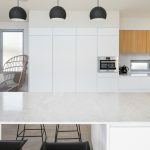 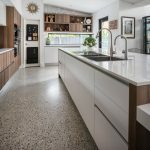 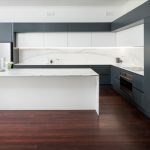 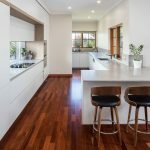 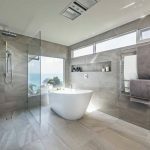 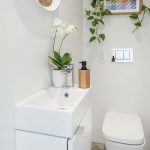 With a range of modern appliances in the kitchen, including a Zip ‘Celsius Arc’ tap and Miele integrated fridge, and modern fixtures in the renovated bathrooms, each room has been beautifully updated while retaining the feel of this federation home’s modern rear extension. 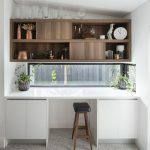 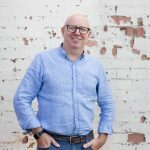 The end result is a warm & welcoming, open-plan kitchen area which is both eclectic and full of character, a space which is perfect for family entertaining.